I have heard a lot of teachers say that they are unable to do much at the beginning of the year because their kids are unable to stay focused. Remember we have to guide them, teach them and help them build their stamina. This is the time to start your structures and teach your students what you expect to hear and see during these times. 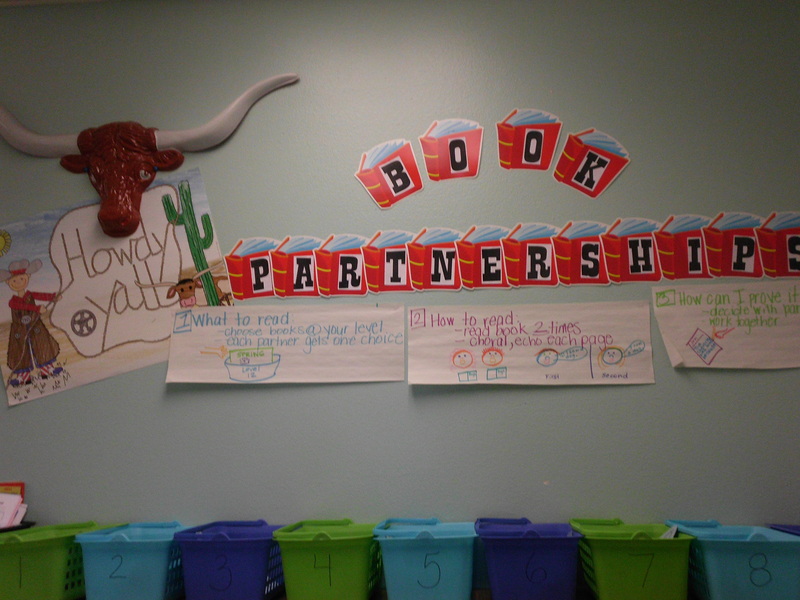 Reading Partnerships allow you to couple the student by ability therefore allowing you to differentiate. Working with someone of your like ability allows you to extend yourself a little further, it also provides a great person to talk to about your understanding of the text. During this time, I am conferencing with one to two students (Open with a simple statement, listen to the student read, compliment something the student did, make a teaching point, model the point, allow the student to practice, and restate the point). 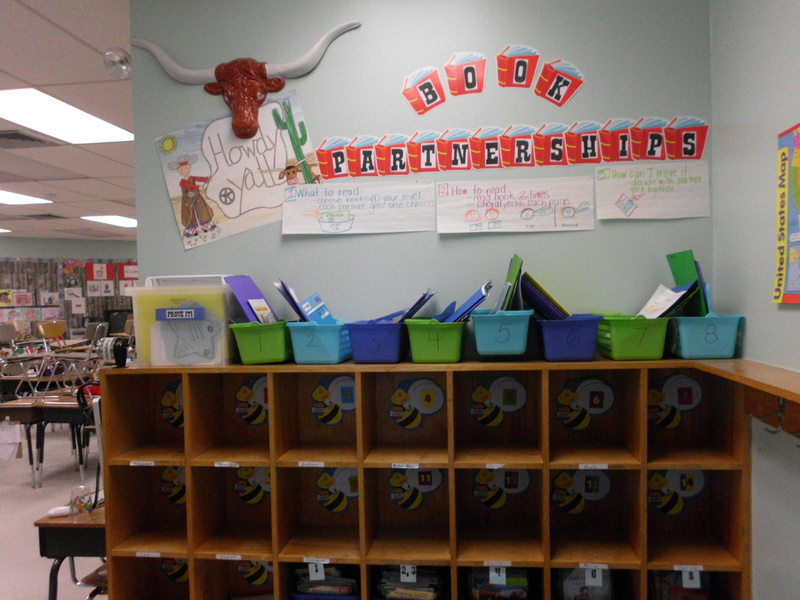 Start by having them choose books, meet together and discuss how they are going to read. Give them five minutes, then stop them to talk about their reading. The next day extend your time a little more. Hand out the partnership talk bookmark when you feel that they are able to dive deeper into their comprehension: Partner Talk. You will be amazed at the sounds in your classroom and the way they will share their thinking with their peer.